As promised to my readers of this blog, I would openly publish any comment made on any article that I deemed as very thought provoking and well written. The following comment, made by a reader that calls himself 'Anonymous', has stated his view and has provided other links to prove his statement as fact, concerning his view regarding President Obama's birth certificate. The following comment is very thought provoking and is well written, hence the reason why it is appearing here at this time. 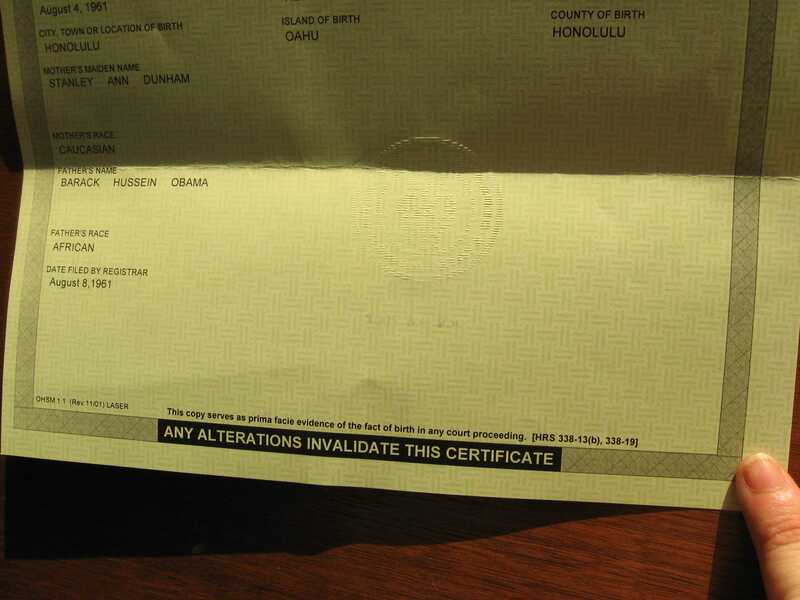 Every blogger/commenter who feels that there are no issues with Obama's eligibility all raise one issue, over and over again: ""FactCheck.org staffers have now seen, touched, examined and photographed the original birth certificate. We conclude that it meets all of the requirements from the State Department for proving U.S. citizenship. Claims that the document lacks a raised seal or a signature are false." FactCheck took a look at a certificate of live birth issued by the state of Hawaii. The certificate of live birth says, right on it, that it constitutes "prima facie" evidence that Obama was born in Hawaii. Does anyone out there other than lawyers understand what "prima facie" evidence means? It means that it creates a rebuttable presumption that Obama was born in Hawaii - it does NOT constitute irrefutable evidence that he was born in Hawaii. In a court of law, if an attorney is presented with prima facie evidence by the other side, the attorney marshalls evidence to rebut the rebuttable presumption, i.e., to prove otherwise. This whole meme out there that the certificate of live birth constitutes "proof" of anything is the "big lie" that the media keeps repeating. Go ahead - check it out: http://www.factcheck.org/UploadedFiles/birth_certificate_6.jpg.